Dmitri (of BKYeast) dropped off some Brettanomyces cultures at Brooklyn Homebrew a few months back. He had isolated three cultures from a bottle of 2008 Cantillion Iris (C1, C2, and C3) and one from a smack pack of Wyeast 3191 PC Berliner Weisse. I decided to brew an experimental 100% Brett Beer using the C2 and C3 cultures. I pitched both cultures into a singe 2-liter starter on a stir plate for ten days. I tasted the finished starter wort, and there was a distinct sourness along with some earthy, peach and apricot fruit aromas. I then brewed a simple recipe of 75% German Pilsner malt, 8% wheat, 8% munich, and per Chad Yakobson’s recommendation, 8% golden naked oats to boost the body and mouthfeel. Since the beer was experimental by nature, I decided to make it a single-hop beer as well and used all Meridian hops. I fermented the beer for four weeks and then dry-hopped for two weeks using a big dose (5 oz. in 5 gallons) of Meridian pellets in the fermenter. 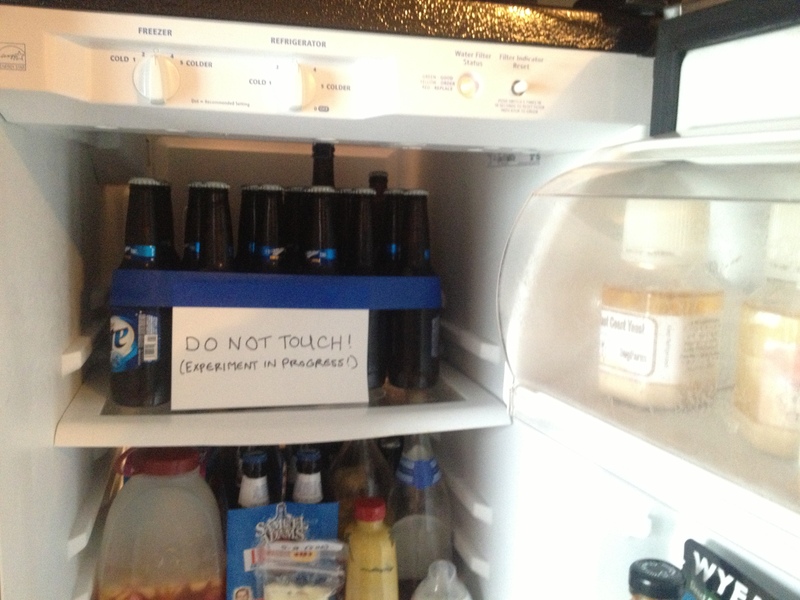 I then kegged and cold-crashed the beer for two weeks. Appearance. Hazy golden amber with a dense rocky head. Despite two weeks of cold crashing at near-freezing temperatures, the low-flocculating nature of Brettanomyces left the beer cloudy even until the final pour from the keg. Smell. When I first tapped the keg, the massive amount of dry hops gave the beer a huge aroma of grapefruit, citrus, and lemon. Towards the end of the keg, the citrus notes receded slightly and the telltale aroma of Brettanomyces — barnyard, pineapple, and mango — came strongly to the forefront. This is the most aromatic beer that I’ve ever brewed, which I think is due to the combination of Brettanomyces and big dry-hopping of the Meridian hops. The beer definitely had the wow factor upon the first sniffs of members of my homebrew club. Taste and Mouthfeel. Because the beer finished at 1.003, the first thing I noticed about this beer is how dry it is. The citrus aromas carried into the taste, along with some strawberry-like flavors, which I think was the result of the Brettanomyces and naked oats. The addition of oats was important in this recipe because of the low finishing gravity. Brettanomyces is known to thin out beers because it is so attenuative, so the oats allowed for a fuller body to counteract the Brett. Overall Impressions. 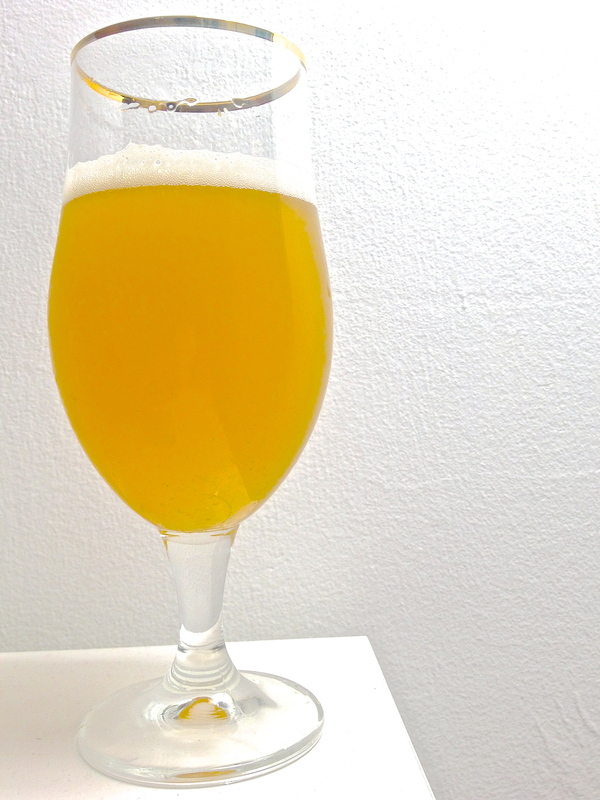 One of the most refreshing, aromatic, and easy-drinking beers that I’ve brewed. About halfway through the glass every time, I would get the distinct impression that I was drinking a wit beer. Because of the risk of contaminating my other beers and long turnaround time, this 100% Brett beer probably will not make it into my regular rotation. But when I’m ready for more experimenting, I’d like to try this again with some of Dmitri’s other cultures and some of the commercial Brett cultures that are available.